SLICC originally represented a union of members of the British Isles Lupus Assessment Group (BILAG), the Systemic Lupus Erythematosus Disease Activity Index (SLEDAI) group from Toronto, Dr. Matthew Liang and colleagues from Boston, as well as several other rheumatologists. The BILAG, SLEDAI, and Boston groups had already linked to undertake the initial comparison of disease activity indices in a series of studies supported by the North Atlantic Treaty Organization (NATO). This expanded group, under the SLICC banner, recognized the importance of seeking consensus in deriving a measure of damage caused by the disease and the therapies used for it, and collectively, they developed the SLICC/American College of Rheumatology (ACR) Damage Index (SDI). SLICC’s work on conceptualizing activity and damage in SLE has led to the development of standardized outcome measures so that physician-researchers can better measure and describe the course of lupus and its response to new therapies. These outcome measures are now widely used by lupus researchers throughout the world and allow comparisons of patient groups among centers. 4.Developing a definition of flare (led by Dr. Isenberg). In 2005, under the leadership of Dr. Ramsey-Goldman, SLICC formalized its administrative structure with the establishment of the SLICC bylaws, which were amended in 2016 to allow an expanded membership. In 2008, SLICC was established as a 501 (c) (3) organization (registered in Illinois), which facilitated its ability to act as a fundraising organization to support ongoing and initiate novel research initiatives. Judith A. James, MD, PhD is the Lou Kerr Chair of Arthritis and Clinical Immunology, Director of the Oklahoma Autoimmunity Center of Excellence, and Vice President of Clinical Affairs at the Oklahoma Medical Research Foundation. She also serves as the Associate Vice Provost for Clinical and Translational Science and leads the Oklahoma Clinical and Translational Science Institute at the University of Oklahoma Health Sciences Center. Dr. James’ research focuses on understanding preclinical autoimmunity, identifying mechanisms of disease transition, and characterizing lupus heterogeneity to improve clinical trial design and patient outcomes. Dr. James has characterized common humoral epitopes in SLE, demonstrated the pathogenicity of common lupus autoantibodies, provided the first description of human humoral epitope spreading, and delineated the timing of autoantibody development in SLE. Her ongoing studies leverage unique preclinical data collections to identify altered inflammatory and regulatory mechanisms that drive the transition from initial autoimmunity to early clinical manifestations to SLE classification. Dr. James, in collaboration with other Oklahoma lupus investigators, also combines clinical data, genomics, proteomics, and molecular phenotypes from a longitudinal lupus cohort to understand how molecular heterogeneity can be used to optimize clinical trials and guide clinical decision making. The long-term goal of these efforts is to provide knowledge and resources for natural history studies, prevention studies, new therapeutic development and improved outcomes in SLE. Dr. Dan Wallace, currently Clinical Professor of Medicine at UCLA and co- director of the Cedars Sinai Rheumatology fellowship program, graduated from the University of Southern California and trained at Brown University (Providence, Rhode Island), at Cedars-Sinai Medical Center (Los Angeles) and at UCLA. While a fellow at UCLA, he became close to his mentor, Edmund Dubois, a renowned clinician and the principal editor of the only lupus textbook; at Dubois’s death in 1985, Dan assumed his practice caring now for about 2000 lupus patients. Dr. Wallace’s Research Center currently runs over 30 clinical trials for patients with different rheumatic diseases. Dr. Wallace is the author of eight medical textbooks, including the last six editions of Dubois’ Lupus Erythematosus, 25 book chapters, and 340 scientific publications, some in very prestigious journals (New England Journal of Medicine, the Lancet, others). Dr. Wallace has served as Chairman of the Lupus Foundation of America (LFA), the Research and Education Foundation of the American College of Rheumatology, and on the Board of Directors of the United Scleroderma Foundation (SF) and the Lupus Research Institute (LRI). Dr. Wallace has received the LFA Humanitarian Award, the LRI Achievement award, the SF Spirit Award, the Arthritis Foundation Wyman Humanitarian Award, and the Sjogren’s Syndrome Foundation Healthcare Professional Leadership Award. His efforts have raised over $20 million for various rheumatic disease organizations. Professor Alexandre Voskuyl graduated from VU University Medical Center (VUmc) in Amsterdam and trained in rheumatology at the Amsterdam’s Jan van Breemen Institute (now called Reade) in 1992. He spent a year at Hôpital Bichat in Paris, France as a rheumatology trainee. Between 1992 and 1997, he was an assistant professor of rheumatology at the Leiden University Medical Center; he received his PhD in 1998 (Vasculitis in rheumatoid arthritis). In 1997, he joined the faculty at VUmc, raising thru the ranks. In 2014, he became a full professor of rheumatology at this institution. Professor Voskuyl major research area focused initially on vasculitis as well as on remission in rheumatoid arthritis; later, he became more involved with systemic lupus erythematosus and systemic sclerosis. 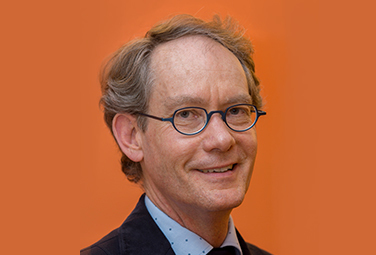 In 2007, he started the Amsterdam Lupus Cohort, including a biobank for the assessment of biomarkers on lupus and the assessment of damage, patient related outcomes and comorbidities in SLE. In 2014, and in collaboration with other academic partners, he started a national lupus registry in The Netherlands, The Dutch Auto-immune Registry (DAiRE). 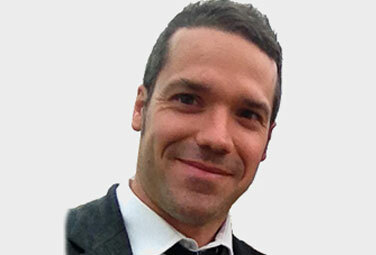 Alexandre is currently involved in the development of remission criteria in SLE. In parallel, his basic science group investigates the role of exosomes in SLE, and the potential value of exosomes as biomarkers in lupus nephritis. Alexandre joined the SLICC group in 2017. Ronald F. van Vollenhoven, MD, PhD, is Professor and Director of the Amsterdam Rheumatology and Immunology Center, Chief of the Department of Rheumatology and Clinical Immunology at the University of Amsterdam’s Faculty of Medicine and of the Department of Rheumatology at the University Medical Center. After graduating from Leiden University, he pursued immunology research (Cornell Medical College, New York) and trained in Internal Medicine (State University of New York, Stony Brook) and Rheumatology (Stanford University, Palo Alto). Prior to 2016 he was the Fellowship Director at Stanford and Chief of the Unit for Clinical Therapy Research, Inflammatory Diseases at Karolinska University Hospital. His research interests focus on the development and systematic evaluation of biological and immunomodulatory treatments for the rheumatic diseases; he has been principal investigator in many clinical trials, including the SWEFOT trial. He is co-founder of the IRBIS (biologics in SLE) and CERERRA registries and of the NORD-STAR collaboration, and initiator of the Treat-to-Target-in-SLE initiative. He has published over 300 original papers, book chapters and reviews; edited Clinical Therapy Research in the Inflammatory Diseases (World Scientific Press, 2015); authored the monograph Biological Therapy of Rheumatoid Arthritis (Springer, 2015) and co-edited Dubois’ Lupus Erythematosus (Elsevier, 2014). He is Editor-in-Chief of Lupus Science & Medicine. He received the Scandinavian Research Foundation Prize for excellence in clinical research in rheumatology (2014). Outside his professional life he is an avid classical pianist. Born and raised in Mexico, Dr. Jorge Sanchez-Guerrero received his medical degree from the University of Guadalajara and trained in Internal Medicine and Rheumatology at the Instituto Nacional de Ciencias Médicas y Nutrición (National Institute of Medical Sciences and Nutrition) in Mexico City. Subsequently, he completed a Master of Science Degree at the Harvard School of Public Health in Boston, Massachuttets; in parallel he was a post-doctoral trainee at the Brigham and Women’s Hospital, a Harvard-affiliated teaching hospital. Upon completion of his training at Harvard, Dr. Sanchez-Guerrero returned to Mexico as staff Internist and rheumatologist at the National Institute of Medical Sciences and Nutrition. 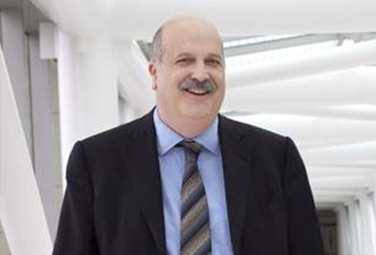 In 2002, Jorge became the head of the hospital’s Department of Immunology and Rheumatology; he held this position until 2011. In July 2011, he moved to Toronto where he took the position of Division Chief for Rheumatology at both, Mount Sinai Hospital and University Health Network. He is also a Clinical Researcher at the Krembil and at the Lunenfeld-Tanenbaum Research Institutes, both in Toronto. Jorge’s main area of research has been systemic lupus erythematosus, particularly on the effect of environmental risk factors, effect of exogenous estrogens on disease activity, neuropsychiatric manifestations, and clinical trials in lupus nephritis. Dr. Sanchez-Guerrero’s many accolades include the Edmund L. Dubois Award for lupus research from the American College of Rheumatology in 2001. Over 130 of his articles have been published in peer-reviewed journals including the New England Journal of Medicine, Annals of Internal Medicine, Arthritis and Rheumatology, and Annals of Rheumatic Diseases. Dr. Guillermo Ruiz-Irastorza received his medical degree from the Universidad Autónoma, Madrid, Spain in 1990. During his training at Hospital Universitario Cruces in Barakaldo, the Basque Country, Spain, he spent five months at the Lupus Research Unit of St Thomas’ Hospital, UK, where he met Drs. Graham Hughes and Munther Khamashta. In 1996 he became specialist in Internal Medicine. Upon completing his PhD at the University of the Basque Country in 1999, he went back to the Lupus Research Unit as a Research Fellow, where he stayed for one year. In 2001, he returned to Hospital Universitario Cruces as a Consultant Physician in Internal Medicine, becoming head of the Autoimmune Diseases Research Unit in 2010. He rose thru the ranks at the University of the Basque Country becoming a full Professor in 2004. Guillermo is currently the coordinator of the Autoimmune, Inflammatory and Infectious Diseases Area of BioCruces Health Research Institute. His clinical and research interests focus on systemic lupus erythematosus, antiphospholipid syndrome and pregnancy and autoimmune diseases. Studies by his group have contributed to re-define the role of hydroxychloroquine as a central therapeutic agent in lupus, to examine the association of glucocorticoids with organ damage and to study the efficacy of regimes containing medium-low doses of prednisone in treating patients with severe SLE. In all he has authored 150 peer-reviewed publications. He has been member of SLICC since 2008. Juanita is currently an established investigator in the epidemiology and outcomes of systemic lupus erythematosus. She has been a recipient of the Rheumatology Research Foundation Preceptorship in recognition of her research in SLE. Her major research has been focused on the risk factors of asymptomatic atherosclerosis in SLE. The majority of her nearly 50 international publications are in lupus. Dr. Romero-Diaz has received support from The National Council of Science and Technology, the main peer-reviewed granting agency in Mexico. She is very engaged in the training of the next generation of lupus clinicians and investigators. 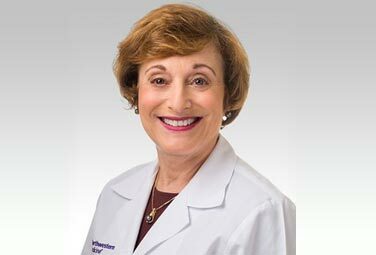 Dr. Rosalind Ramsey-Goldman is the Solovy Arthritis Research Society Professor in the Division of Rheumatology, Department of Medicine at the Northwestern University Feinberg School of Medicine in Chicago, IL. She directs the Patient-Oriented Clinical Research Program in lupus having had continuous funding for over 25 years from the NIH, foundations, philanthropy, and industry. Her clinical research program examines risk factors to minimize complications related to SLE including cancer, osteoporosis, and cardiovascular disease. 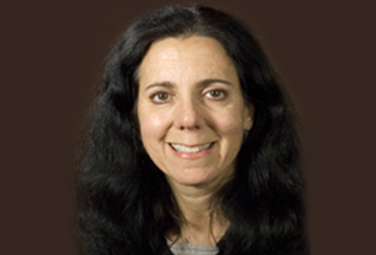 Through national and international collaborations, she has studied genetic risk factors for disease severity and susceptibility in SLE; collaborated on studies to investigate the pathogenesis of disease; developed lupus disease classification criteria, assessed flare occurrence, developed nephritis guidelines, studied biomarkers for diagnosis, and assessed health-related outcomes such as fatigue and quality of life. Many of these clinical investigations incorporate analysis of lupus in multiethnic cohorts examining clinical, laboratory, and health related outcomes highlighting the problems of osteoporosis and cardiovascular disease in African-American women with SLE and providing evidence of worse outcomes based on race/ethnicity and income in SLE patients receiving renal transplants in the setting of end stage renal disease. She is the authors of over 250 scientific publications, the large majority in lupus. 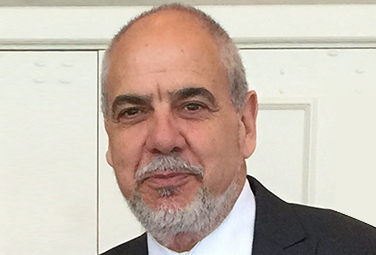 Bernardo Pons-Estel is the head at the Regional Center for Autoimmune and Rheumatic Diseases (CREAR) of Rosario, Argentina. He received his medical degree from the National University of Rosario and went on to train in Rheumatology, first in Argentina (Rosario) and the USA. While at the USA Bernardo was a fellow at New York University (Bellevue Hospital and the Irvington House Institute, both in New York) and at the University of Missouri Cancer Research Center (Columbia). Professor Pons-Estel is the main coordinator for the Latin American Group for the Study of Systemic Lupus Erythematosus (SLE) (GLADEL), the Genomic Study of Latin-American Patients with SLE (GLA-GENLES) and the Latin American Group for the Study of Rheumatic Diseases in Indigenous People (GLADERPO). From 2011-2013 he was the President of the Argentinean Rheumatology Society and in 2013, he was the Chair of the 10th International Congress on SLE which took place under GLADEL sponsorship in Buenos Aires, Argentina. Bernardo is an active member of the Science and Educational Committee of the Pan-American League of Association for Rheumatology (PANLAR), and an International Member of the American College of Rheumatology (ACR). Currently, a collaboration between GLADEL and PANLAR has materialized, the aim being the development of guidelines for the management of SLE patients in the South American subcontinent. Bernardo is integral part of this collaboration. Professor Anisur Rahman graduated from Oxford University in 1988 and trained in rheumatology in London. In 1998, he received a PhD from the University of London (molecular properties of autoantibodies that cause tissue damage in lupus and the antiphospholipid syndrome, APS); he was appointed Senior Lecturer at University College London shortly thereafter and began to build up his own research group. He was promoted to a personal chair in rheumatology in 2008. While continuing basic science research, Anisur has developed clinical research programs in autoimmune rheumatic diseases and chronic pain. As a member of the British Isles Lupus Assessment Group and of SLICC, he has been part of large multicenter lupus research projects. In parallel, his basic science group is developing a potential new therapeutic agent for APS. 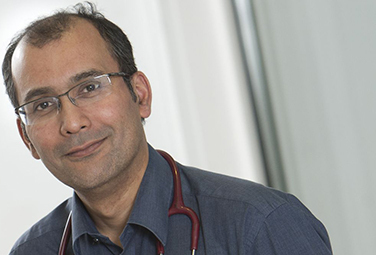 Professor Rahman has forged a successful collaboration with researchers in primary care; together they are working on studies of beliefs and expectations about chronic pain and have also carried out NIHR-funded research into development of a self-management programs for people with chronic pain in the community. He has published extensively having over 130 publications in lupus; he has contributed to several book chapters in the Oxfords textbooks of Medicine and Rheumatology. He was awarded the Michael Mason Prize for his research by the British Society of Rheumatology in 2004. 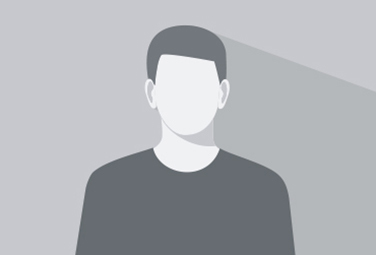 In his spare time Anisur enjoys writing poetry and essays, listening to classic music and learning foreign languages. Dr. Michelle Petri is Professor of Medicine at Johns Hopkins University Medical School and Director of the Lupus Center at Johns Hopkins Hospital (Baltimore, Maryland). She graduated from Harvard University and completed her training at the Massachuttets General Hospital (Boston) and at the University of California, San Francisco. 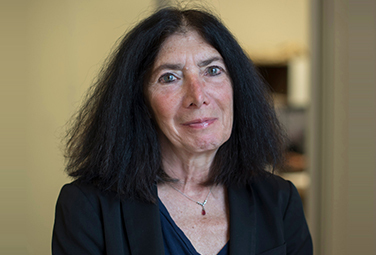 She joined the Hopkins faculty in 1986 obtaining a MPH, with focus on biostatistics and epidemiology; she then began a long-term collaboration with L. Magder, PhD, MPH, fostering expertise in techniques of longitudinal regression appropriate to cohort studies. Her major role has been as the Principal Investigator of the Hopkins Lupus Cohort of 2,000 patients. The cohort is unique as each patient is seen by protocol, both in terms of timing of visits and routine laboratory assessments. Michellepersonally sees each patient and oversees the research coordinators who prepare case report forms, do data entry and process samples. The cohort continues to emphasize the aims of predicting disease activity/flare, preventing organ damage, and improving the quality of life in SLE, but also supports multiple NIH SLE subcontracts and industry projects. 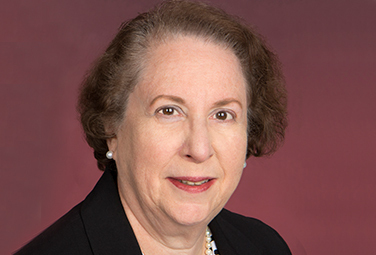 She has served as a mentor for hundreds of students, residents, fellows and faculty over the last 30 years. She has expertise in both clinical and translational research in SLE. These skill sets can be helpful outside of lupus in advising mentees. Dr. Eric Morand is Professor and Head, School of Clinical Sciences, Faculty of Medicine, Nursing and Health Sciences at Monash University, and Director of Rheumatology at Monash Health in Melbourne, Australia. He trained as a specialist physician in rheumatology in Australia and at the Royal National Hospital for Rheumatic Diseases in the United Kingdom. Eric has led the Rheumatology group of the Monash Centre for Inflammatory Diseases since the mid-1990s. His laboratory research focuses on the effects of glucocorticoid-induced proteins in SLE and RA. He founded the Lupus Clinic at Monash Health, which now hosts Australia’s largest longitudinally studied lupus cohort, pairing dense clinical data acquisition and serum/DNA/cell biobanking. He has published over 170 peer-reviewed publications, book chapters and patents, which have been cited more than 6000 times resulting in an h-index of 50. Dr. Morand is the current Chair of the Asia Pacific Lupus Collaboration; he chaired the Organising Committee for the 2017 International Congress on SLE. He is a member of the Editorial Advisory Board of Nature Reviews Rheumatology. He received the Australian Rheumatology Association Parr Prize in 2001 and the Lupus Research Institute’s US$1million Distinguished Innovator Award in 2015. Dr. Merrill is the Oklahoma Medical Research Foundation (OMRF) Professor of Medicine at the University of Oklahoma Health Sciences Center. She is the Director of Clinical Projects (OMRF) and Chief Advisor for Clinical Development (Lupus Foundation of America, LFA). She founded the Oklahoma Lupus Cohort in 2001 which she co-directs. She obtained her medical degree from Cornell University, trained in Internal Medicine at St. Luke’s Roosevelt Hospital and in Rheumatology at NYU. Her research focus has been on pathophysicology and clinical pharmacobiology for lupus, with over 250 peer-reviewed publications; these have led to numerous public and private grant awards for investigator-initiated trials linked to pharmacodynamic investigations. Current examples include a study of B cell changes after belimumab treatment (based on a Bliss-activity signature test), and a study of pathophysicologic changes that accompany MRI-proven worsening/improvement in lupus arthritis after treatment with methotrexate, among others. These studies are based on the BOLD trial design which limits background treatments, so more interpretable data in smaller trials are obtained. She has been a site-level Principal Investigator in more than 50 multicenter lupus clinical trials, being the overall principal or coordinating investigator for many of them, consulting for pharmaceutical companies on trial design and data management. She created the LFA Physicians Online Training Program, international reference and training center for lupus trial outcome measures. She also designed the ALBERTO (Activity of Lupus Web-Based Evaluation and Record of Trial Outcomes) system, which provides state of the art data management, including remote monitoring, edit checks, and pattern-finding reports to improve the quality of lupus trial data. Dr. Merrill is an expert in the care of lupus patients, and has received the American College of Rheumatology (ACR) Edmund Dubois Memorial Lectureship Award, the PHRMA Research and Hope Award, and several named endowed lectures: The Ira Goldstein Award (NYU), The Cogan Lecture (Maine), The Pemberton Lecture (Philadelphia) and the Einbender Lecture (Missouri). 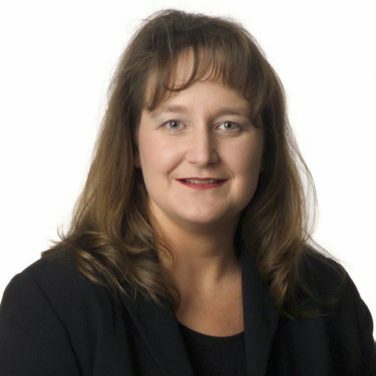 She has delivered talks at national and international meetings of the ACR, Inflammation Research Association, American Society of Transplantation, American Congress on Women’s Health, National Medical Association, Clinical Immunology, EULAR and Lupus Meetings and National Societies across the world, and at many State Rheumatology Associations and universities in the United States. 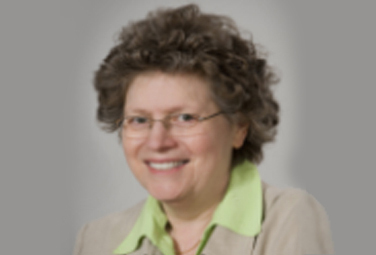 Susan Manzi, M.D., MPH is System Chair, Department of Medicine, Allegheny Health Network and Professor of Medicine, Temple University School of Medicine and Co-Founder and Director of the Lupus Center of Excellence, Pittsburgh, Pennsylvania. Sue graduated from the University of Pittsburgh School of Medicine and trained in internal medicine and rheumatology at Duke University and the University of Pittsburgh Medical Center; while at Pittsburg she earned a Master of Public Health. Dr. Manzi co-founded the Lupus Center of Excellence as a new model for Integrated Patient Care and Clinical-Translational Research. This Center services patients from around the world. Dr. Manzi has served on numerous NIH study sections and is a member of several NIH Data Safety and Monitoring Boards. Currently, Dr. Manzi serves as Medical Director for the Lupus Foundation of America; she has published over 200 reports of research in autoimmunity. She authored the book, ‘Lupus the Facts’ in 2008. Dr. Manzi is co-inventor of a biomarker platform of blood tests for autoimmune disease diagnosis, monitoring and prognosis. These efforts have resulted in six awarded or pending patents and exclusive licensing of this technology to Exagen Diagnostics, Inc. The diagnostic test is now commercially available. She is recognized nationally and internationally as a leader in lupus patient care and research, and a pioneer in scientific investigation of cardiovascular disease in patients with systemic lupus erythematosus. Dr. Anselm Mak graduated from the University of Hong Kong in 1998 with a MBBS and trained in Rheumatology and Internal Medicine also in Hong Kong. 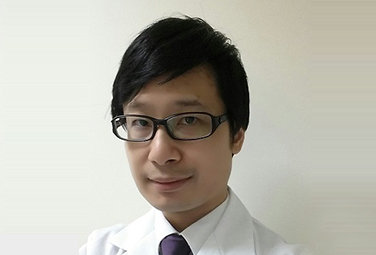 After completing his training, he joined the National University Hospital, Singapore, and has been a consultant rheumatologist since July 2009. 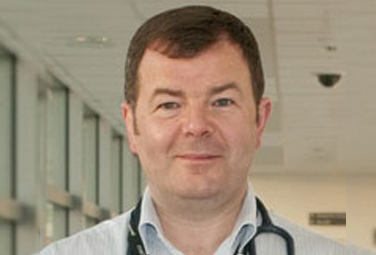 He is a Fellow of the Royal College of Physicians of Edinburgh (2009), Ireland (2014) and London (2015). On the academic side, Dr Mak joined the National University of Singapore’s Clinician Scientist track in April 2008; in 2014, he was awarded tenure. Dr Mak’s major research areas include mechanism of early lupus-related damage in major organs, and the immunopathogenesis of neuropsychiatric lupus. His recent major discoveries are the involvement of specific neural circuits in subclinical SLE-cognitive dysfunction, cerebral volume reductions early in the course of SLE and their improvement with SLE treatment, and the association between bone loss, inflammation and endothelial dysfunction. Currently, he is addressing the neuropathology of lupus-related cognitive impairment using resting-state and event-related functional MR imaging, and the role of 4-1BBL in the pathogenesis of SLE. Anselm joined the SLICC group in 2017. Within SLICC, he volunteered to study the deleterious effects of glucocorticoids when used for the treatment of lupus. Dr Mak is the Associate Editors of the International Journal of Rheumatic Diseases and of Seminars in Arthritis and Rheumatism. Dr. Sam Lim is Professor of Medicine in the Division of Human Immunology and Rheumatology at Emory University School of Medicine and Professor of Epidemiology at the Rollins School of Public Health at Emory University (Atlanta, Georgia). He is also Chief of Rheumatology for Grady Health Systems, the only hospital there that serves those with limited or no health insurance. Dr. Lim’s research interests include epidemiology and outcomes in lupus, particularly as it relates to racial/ethnic health disparities. Dr. Lim is Principal Investigator of multiple investigator-initiated grants, including a R01 grant from the National Institutes of Health and a U01 grant from the Centers for Disease Control and Prevention. The Georgia Lupus Registry study which he established, has reiterated the striking differences in the incidence and prevalence of lupus among Whites and Blacks. Sam’s team is also evaluating the role of psychosocial stress in lupus health disparities. Dr. Lim is site principal investigator for several clinical trials studying the safety and efficacy of new treatments for lupus and rheumatoid arthritis and has been involved in 30 clinical trials overall. He is a member of the SLICC group and serves as Treasurer on the Executive Committee. He was awarded the Distinguished Service Award and the Clinical Investigator Fellowship Award by the American College of Rheumatology (ACR) and has held multiple positions at the ACR and The Lupus Foundation of America. 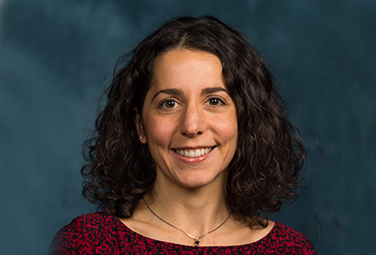 Dr. Diane L. Kamen, MD, MSCR, is an Associate Professor of Medicine and Director of Clinical Research in the Division of Rheumatology at the Medical University of South Carolina. She completed her undergraduate training at Northwestern University, graduated from the University of Kansas School of Medicine in 1999, completed her Internal Medicine residency and then rheumatology fellowship at the Medical University of South Carolina in 2005. In 2004, she completed a two-year Master of Science in Clinical Research program and joined the faculty at MUSC in July 2005. She has been a member of SLICC since 2009. Diane’s ongoing research focuses on gaining insights into pathogenic mechanisms responsible for lupus and finding safe and effective therapies to stop its progression. She has headed several large observational studies, including the SLE in Gullah Health cohort, with a focus on investigating potential environmental and epigenetic triggers of lupus. She is also involved in the design and conduct of numerous interventional clinical trials in lupus. Her goal is to continue pursuing the answers to questions about the natural history of autoimmunity, so that in the near future we can prevent the onset autoimmune diseases such as lupus. Dr. Kenneth Kalunian, is a Professor of Medicine, Department of Rheumatology, Allergy and Immunology at the School of Medicine, University of California, San Diego (UCSD). At UCSD he is a Co- Director of the Center for Innovative Therapy, the Director of the Lupus Center of Excellence and is a member of the UCSD Clinical Translational Research Institute. Ken received his Bachelor’s Degree in Biochemistry from Occidental College and his Medical Degree from St. Louis University; he completed his Internal Medicine training at UCLA where he was in the Faculty until 2003 when he moved to UCSD. He completed his rheumatology training at UCLA as well as an arthroscopy fellowship at the Lutheran Hospital in Chicago. His expertise covers mainly lupus and osteoarthritis. His lupus expertise and research interests are clinical epidemiology, outcomes assessments, clinical trial design and novel therapeutic modalities. 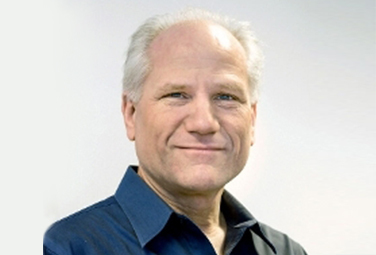 He has been a Scientific Advisory Board Member at Anthera Pharmaceuticals, Inc. since February 2008. Dr. Kalunian serves as a Member of the Medical Scientific Advisory Board of the Lupus Foundation of America and has served as a Member of the Medical Scientific Advisory Board for the Lupus Research Alliance. He serves as the executive director of the Collective Data Analysis Initiative for the Lupus Foundation of America, is a founding member of the Systemic Lupus International Collaborating Clinics, is a member of the Lupus Nephritis Trials Network and is a member of the Lupus Clinical Trials Consortium. Ken is a past- president of the Southern California Rheumatology Society and is a fellow of the American College of Rheumatology. He co-founded Lupus Therapeutics, which merged with the Alliance for Lupus Research and the Lupus Research Institute to form the Lupus Research Allliance. He now is the chair of the steering committee for the Lupus Research Alliance’s Lupus Clinical Investigator’s Network (LuCIN) and is a member of the executive committee of LuCIN. He has authored over 120 peer-reviewed papers (about 75% of them in lupus). Dr. Andreas Jönsen’s received his medical degree from Lund University, Sweden; he completed his training in Rheumatology at Skåne University Hospital also in Lund. He went on to obtain a PhD in Rheumatology in 2006, also in Lund. Subsequently, he was a post-doctoral fellow at McGill University in Montreal, Canada. Back in Sweden he joined the rheumatology faculty of Skåne University. In 2012, and under the auspices of the Swedish Rheumatology Council, he chaired a work group which was charged with setting up and implementing a SLE Swedish quality registry. Currently, Andreas is working at the Skåne University Hospital’ Department of Rheumatology in Lund where he is responsible for the care of patients with SLE and systemic vasculitis. The SLE research group at Lund University, Sweden, has a long history of studies on epidemiology, prognosis and the complement system in SLE; these studies comprised about 60 peer-reviewed publications. Currently, the focus of Andreas’ group is on outcome and disease mechanisms of cardiovascular disease in SLE, pathogenesis and diagnosis of neuropsychiatric lupus, as well as the role of neutrophils and platelets in lupus pathogenesis. 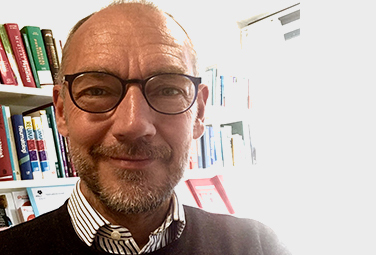 Søren Jacobsen is a Clinical Professor of Medicine at the University of Copenhagen, Faculty of Health Sciences and a senior consultant at the Copenhagen Lupus and Vasculitis Clinic, Center for Rheumatology and Spine Diseases, Rigshospitalet, Copenhagen, Denmark. He graduated from the University of Copenhagen Medical School in 1988. He subsequently obtained a DMSc and completed his training in rheumatology and internal medicine also in Copenhagen. 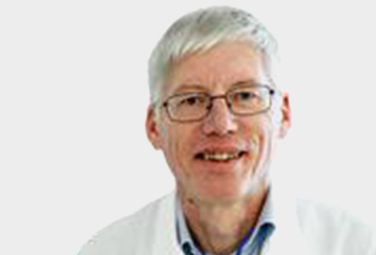 Professor Jacobsen is the Chief Editor of the Scandinavian Journal of Rheumatology, a longstanding board member of the Danish Rheumatism Association and a full member of the Danish Medico-Legal Council. 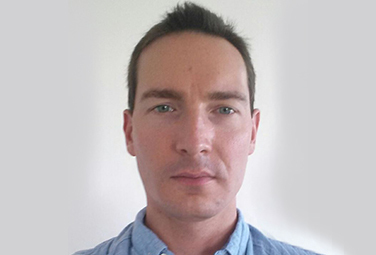 Søren’s main research focus is on epidemiological and clinical cohort studies and on studies on the pathogenesis of autoimmune rheumatic diseases and their comorbidities with emphasis on systemic lupus erythematosus, inflammatory myopathies, systemic sclerosis and rheumatoid arthritis. The later studies are supported by tight collaborations developed with several specialized immunological laboratories; they are directed against adaptive and innate immunity, which have implications in early as well as later stages of these diseases. Perspectives for this research are to identify biomarkers for early diagnosis and treatment targets. This will hopefully aid the development of immunomodulating therapies of autoimmune rheumatic diseases without the characteristics consequences of traditional immunosuppression inducing various iatrogenic comorbidities. 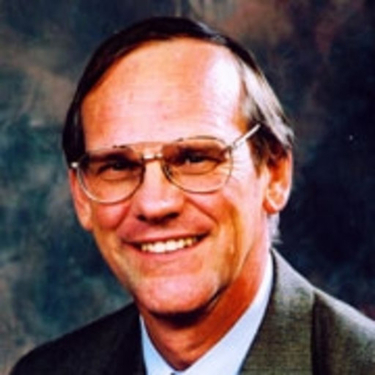 Professor Jacobsen has published extensively and supervised several PhD students. 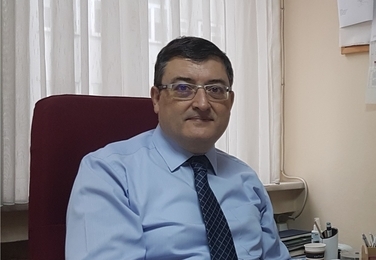 Dr. Murat Inanç received his medical degree from the Istanbul University Faculty of Medicine, Turkey and completed his training in Internal Medicine (1991) and in Rheumatology (1996) at the same institution. Between 1996 and 1997, Murat was a visiting research fellow at University College London, UK working under Professor David Isenberg on monoclonal antiphospholipid antibodies. He returned to Turkey, and joined the Istanbul Faculty of Medicine Murat. He was appointed Professor of Medicine/Rheumatology in 2002. His work has primarily focused on the inflammatory/autoimmune rheumatic diseases; the results of his work include over 100 manuscripts covering many of the rheumatic diseases such as systemic sclerosis, SLE/antiphospholipid syndrome, arthritis and vasculitis including Behçet’s disease. He has been a reviewer for several journals including Arthritis and Rheumatology, Rheumatology, Clinical and Experimental Rheumatology, Journal of Rheumatology, Lupus and Rheumatology International. In addition, he is a member of the editorial board for Lupus Science and Medicine and the Journal of Scleroderma and Related Disorders. Dr. Inanç is currently President of The Rheumatology Society of Turkey (TRD), and member of the European Scleroderma Trials and Research Group (EUSTAR), Systemic Lupus International Collaborating Clinics (SLICC) and the Scleroderma Clinical Trials Consortium (SCTC). 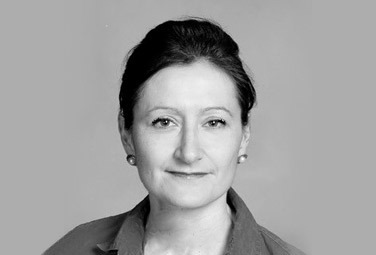 Professor Caroline Gordon graduated from Cambridge University and trained in internal medicine, rheumatology and immunology in London and San Francisco. She joined the Faculty of the University of Birmingham in 1989 establishing clinical and research programs focus on lupus and pregnancy and the rheumatic diseases. The Birmingham lupus clinics were the first to receive the title of LUPUS UK Centre of Excellence (2005). She is a member of the British Isles Lupus Assessment Group (BILAG), SLICC, and has been Co-Chair of the EULAR SLE Task Force. Her work has focused on disease assessment for clinical trials and outcome studies, particularly the development of the BILAG disease activity index and the epidemiology of lupus. 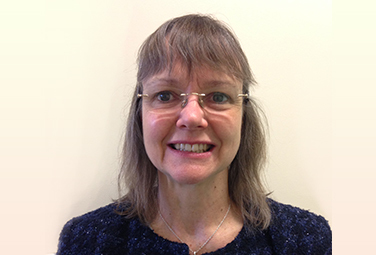 Caroline has led and participated in clinical trials, led the initiative producing EULAR points to consider for conducting SLE clinical trials, and advises the pharmaceutical industry on the design, implementation and analysis of trials. She is a consultant to the CDC on epidemiological studies of lupus in the USA. She has been closely involved in the development of the BSR guidelines for drugs in pregnancy in the rheumatic diseases and has been the lead for the BSR guidelines for the management of SLE. 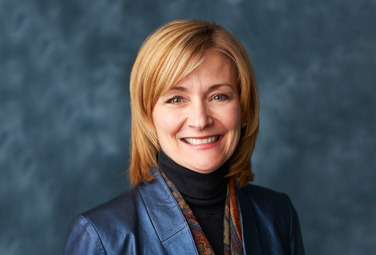 Caroline has received numerous awards including the Edmund L. Dubois Memorial Award (American College of Rheumatology, 2002) and the Heberden Medal for Rheumatology ( BSR, 2013). Division of Rheumatology, NSRC, Suite 245, 2nd Fl. 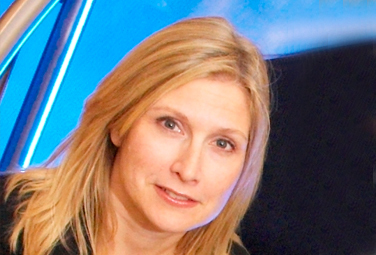 Lisa Fougere has been the Study Manager for the Neuropsychiatric (NP) portion of the SLICC Registry since September 2002 and is based at the QEII Health Sciences Centre in Halifax, Nova Scotia. Having worked in clinical research for over 20 years, Lisa accrued experience in Cardiology, Hematology, and Endocrinology, prior to accepting her current position with Rheumatology. 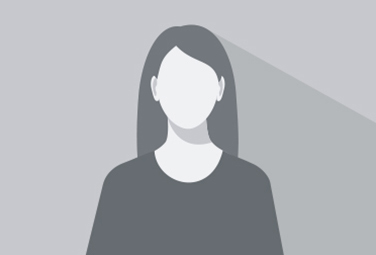 In addition to her work with SLICC, Lisa is part of a team that administers and coordinates multiple, concurrent research projects, both investigator-initiated and industry driven. She also manages a large database for the Dalhousie Lupus Registry which is still actively enrolling. Although her coworkers tease Lisa about her slightly obsessive-compulsive tendencies, it’s this precision and organization that makes her so effective at her job. Lisa grew up in Cape Breton, but has lived in Halifax since attending Saint Mary’s University for a Bachelor of Arts degree. When she isn’t maintaining order at work, she keeps busy volunteering in her community and supplying everyone she knows with incredible baked goods. Every now and then, she’ll save some scraps for her husband, Jon, and their 13-year-old son, Noah. Nicole Anderson is a Study Manager for SLICC-RAS at the data-coordinating centre located at the Toronto Western Hospital and the administrative coordinator for the SLICC Biological Material and Data Utilization Committee. Nicole has been an active member of the Toronto SLICC site for 8 years and continues to enjoy working with both SLICC investigators and coordinators. Nicole brings her research knowledge of large multicentre research studies from the Hospital for Sick Children and Princess Margaret Hospital. She is a University of Toronto graduate with an Honors degree Bachelor of Science and is a Certified Clinical Research Professional. Dr Asad Zoma is an Honorary Consultant Physician in Rheumatology at Lanarkshire Health Board in Scotland, UK. He is also a Senior Clinical Lecturer at the Medical School, University of Glasgow. He is also a Professor of Medicine at the University of Basra, Iraq. He completed his undergraduate training at Baghdad College in 1965 and graduated with an MB ChB in Medicine from the College of Medicine of Baghdad University in Iraq in 1971. He completed his postgraduate training in internal medicine and rheumatology at the University of Glasgow Department of Medicine, Royal Infirmary, Glasgow, Scotland. Asad is a Fellow and Associate International Director of the Royal College of Physicians and Surgeons of Glasgow. He is also a Fellow of the Royal College of Physicians of London and the American College of Rheumatology. 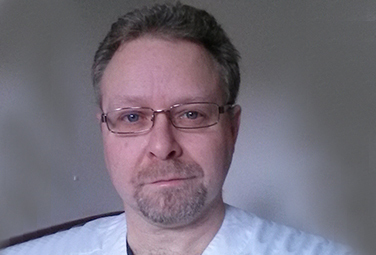 He is a founding and current member of the British Isles Lupus Group and the SLICC Group. He is involved in collaborative clinical research in the fields of SLE and inflammatory joint diseases with nearly 70 publications. Dr. Stoll is the Medical director of the Clinic for Rheumatology, Geriatrics and Rehabilitation at the Cantonal Hospital of Schaffhausen and Professor of Rheumatology at the University of Zürich. 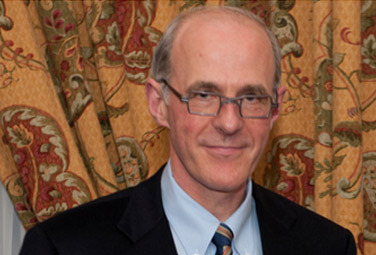 After receiving his medical degree in Switzerland, Tom trained in Rheumatology, Physiatry and Internal Medicine in his native Switzerland and in England at the Schulthess Clinic Zürich, University Hospital of Zürich and at the Bloomsbury Rheumatology Unit, the Middlesex Hospital London, University College of London, with Professor David Isenberg, respectively. Dr. Stoll has been associated with the SLE cohort at the Cantonal hospital Schaffhausen (50 patients) since 2005 and before in the Rehabilitation Clinic in Schinznach. He has published about 50 original articles and 24 reviews or book chapters and written/edited one book. Professor Stoll is a member of the American College of Rheumatology, the British Society for Rheumatology and the Swiss Society for Rheumatology. Dr. Ola Nived studied medicine at the Royal Caroline Institute (Stockholm) graduating in 1973. He started the Lupus unit in Lund in 1980 together with Professor Gunnar Sturfelt, also a SLICC member from 1989 until his passing in 2016. His specialist thesis dealt with SLE epidemiology and infections in SLE; he was appointed Associate Professor of Rheumatology at Lund University in 1986. Dr. Nived participated in the first NATO meeting (Birmingham, England, 1988); he remained a member of NATO and eventually became a member of SLICC until 2015. In 2015 Ola became emeritus member; Ola has contributed to the SLICC cohort with newly-diagnosed lupus patients; he has also engaged in validating new indices. Dr. Nived main research interest has been SLE, especially the epidemiological aspects of the disease but also many clinical projects with about 200 published original articles. The group that he constituted now consists of about 20 local members and has produced about 400 scientific publications. The current leader of this group is Professor Anders B Bengtsson, also an SLE researcher. At the present, Ola is working in clinic and research activities about one day each week; the rest of his time he is devoting to his family and some hobbies (e.g. Steam locomotive driving in northern Sweden). Munther Khamashta is Professor/Consultant Physician and Director of the Lupus Research Laboratory at St Thomas Hospital, London. He studied medicine in Barcelona and trained in internal medicine in Madrid, Spain; while there he developed an interest in connective tissue diseases and went on to receive his PhD. He was awarded membership on the Royal College of Physician in 1999 becaming a fellow in 2002. 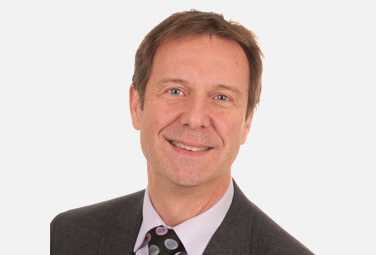 He joined the Lupus Unit in London 30 years ago and has been instrumental in developing it into an internationally recognized tertiary center receiving referrals from all over the UK. He is currently on sabbatical setting up lupus services at Dubai Hospital, United Arab Emirates. Professor Khamashta has served on the Editorial Boards of several journals including Clinical & Experimental Rheumatology, Lupus and Current Rheumatology Reviews. He is a member of several professional societies, including the International Society of Internal Medicine, the American College of Rheumatology and the Spanish Society of Rheumatology. He is a member of the Steering Committee of the International Board on the Study of Antiphospholipid Antibodies and of the International Advisory Board for Systemic Lupus Erythematosus. He is a founding member of the Lupus Academy and the antiphospholipid syndrome (APS)-ACTION. He has received several international awards for his work, including the European League Against Rheumatism (EULAR) and International League Against Rheumatism (ILAR) prizes. 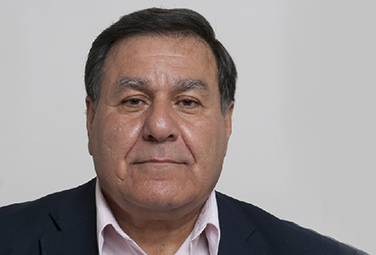 Professor Khamashta has a strong research interest in lupus and connective tissue diseases, with a special interest in pregnancy and APS. He has published extensively (about 700 original articles) in Lupus, APS and related areas. 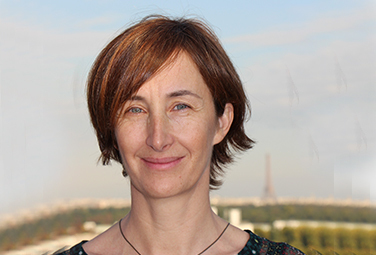 Dr. Evelyne Vinet is a rheumatologist with a PhD in epidemiology. She is currently an Assistant professor of Medicine at McGill University (Montreal, Canada). Her research interest focuses on reproductive issues in women with rheumatic diseases. Dr Vinet has created the world’s largest cohort of children born to women with SLE, the “Offspring of SLE mothers Registry (OSLER)”. With this unique resource, she and her team, have demonstrated that SLE offspring have an increased risk of certain adverse health outcomes (autism, congenital heart defects) compared to children from the general population. Dr Vinet published her results in Arthritis & Rheumatology and Circulation, both high-ranking journals in the field. Both in 2013 and 2015, Dr. Vinet was awarded the Canadian Rheumatology Association Young Faculty Award for Excellence in Research. 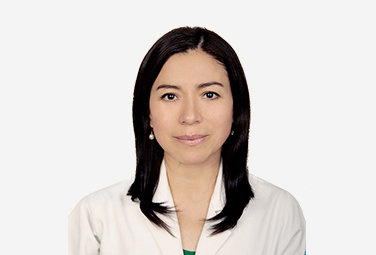 At the 2013 International Congress on SLE in Buenos Aires, she was awarded the Pan-American League Against Rheumatism Award for a young investigator. More recently, in 2017, she was awarded a Canadian Institutes of Health Research Catalyst grant to create the Lupus prEGnAnCY (LEGACY) cohort, an international multi-centre prospective cohort of unselected SLE pregnancies. Dr Vinet already has to her credit 38 peer-reviewed publications, including several first-author original research articles and has also presented her work by invitation in oral and poster forms at numerous national and international scientific meetings. Dr. Elisabet Svenungsson is Professor of Medicine and Senior consultant in Rheumatology, Department of Medicine, Karolinska Institutet, Solna/Karolinska University Hospital, Stockholm Sweden. Elisabet is a graduate of the Karolinska Institutet where she obtained her medical degree and trained in rheumatology and internal medicine. Her studies on risk factors for cardiovascular disease in SLE were the basis for her PhD thesis, also from Karolinska. 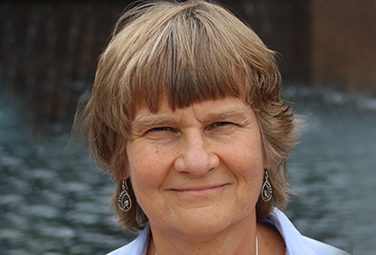 Together with associate professor Dr. Iva Gunnarsson she founded the Karolinska SLE cohort in 1995; this cohort now comprises detailed information on over 600 SLE patients and a matched control population. More recently, she has initiated a cohort of patients with the antiphospholipid syndrome (APS). Clinical studies on SLE and APS are the core of Dr. Svenungsson’s research. Premature vascular disease is a common cause of morbidity and mortality in SLE and APS and to understand its underlying pathophysiology is a major aim. A key observation is that SLE subgroups differ with regard to disease presentation and risk factors. Pro-thrombotic antiphospholipid antibodies as well as renal disease with accelerated atherosclerosis are major contributors to premature vascular disease, but these two risk factors seem to be independent of each other and will likely benefit from different preventive strategies. She is currently a provisional member of SLICC. David Wofsy, MD, received his undergraduate degree from Harvard University, his Medical degree from the University of California San Diego and completed his internal medicine and rheumatology training at the University of California, San Francisco (UCSF). 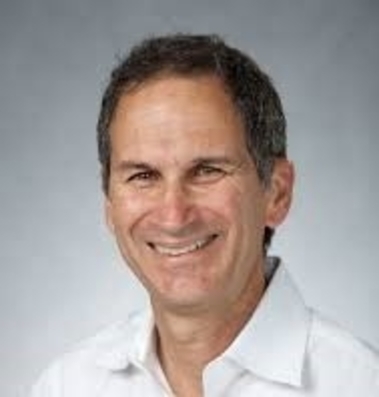 He remained in the faculty at UCSF where he currently is the George A. Zimmerman Distinguished Professor of Medicine and Microbiology/Immunology; David also serves also as Associate Dean for Admissions at the UCSF School of Medicine. Dr. Wofsy’s research career has been devoted to the development of novel therapies for systemic lupus erythematosus (SLE), first through studies in murine lupus models and more recently through the conduct of clinical trials. In addition to his studies of novel approaches to the treatment of SLE, Dr. Wofsy has been a leader in identifying early clinical predictors of long-term outcome in patients with lupus nephritis (LN). He is co-founder and co-Director of the International LN Trials Network (LNTN). Dr. Wofsy is a past-President of the American College of Rheumatology and has served in numerous study sections at the NIH. 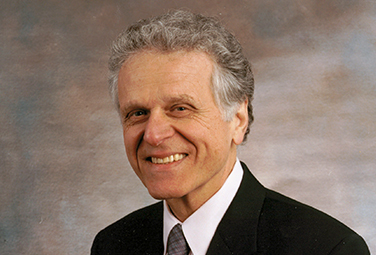 He has received numerous awards during his career, including the Edmund L. Dubois Award for Outstanding Research in lupus and the Presidential Gold Medal, both from the American College of Rheumatology. 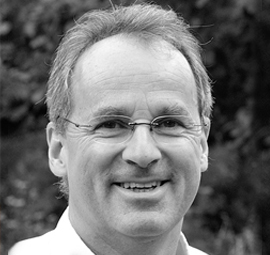 Vern Farewell is now a Visiting Scientist at the MRC Biostatistics Unit (BSU) in the University of Cambridge, following 15 years as a Programme Leader from 2001 to 2016, and a period of being acting Director during 2011. 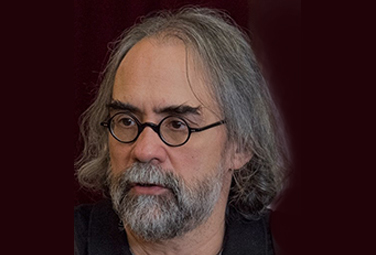 Prior to moving to BSU in 2001, Vern held professorial positions at the University of Washington, the University of Waterloo and University College London. He has published widely in the statistical and medical literature and is co-author of the five editions of the book “Using and Understanding Medical Statistics”. From 2007 to 2013, he was an Editor of “Statistics in Medicine”. 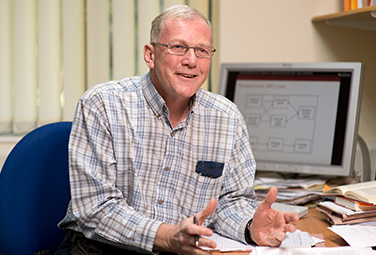 Vern’s collaboration with the SLICC group spans several years as can be attested by the many publications for which he has advised the group on the use of the appropriate methodological approach for the question(s) being examined. 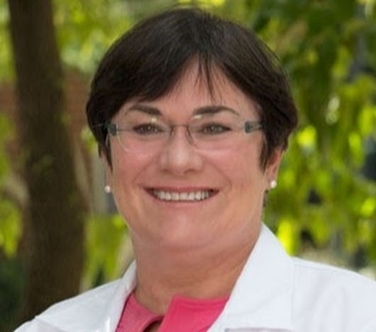 Dr. Ellen Ginzler earned her medical degree from Case Western Reserve University School of Medicine in Cleveland, Ohio, USA, and earned her Master’s in Public Health from the Yale University School of Epidemiology and Public Health in New Haven, Connecticut. Dr. Ginzler completed her internship and residency at King’s County Hospital and Bellevue Hospital in New York. She completed her fellowship training in rheumatology at the State University of New York (SUNY) Downstate Medical Center and in epidemiology at Yale. She has been Chief of Rheumatology at SUNY Downstate since 1991. Under her guidance the Division has gained international reputation. She has trained countless residents and fellows and she has been recognized year after the year for her teaching skills. In fact, in 2008, she was named Distinguished Teaching Professor, the highest rank afforded in the SUNY academic system. She was the Principal Investigator for a nephritis multicenter trial sponsored by the FDA Orphan Products grant. 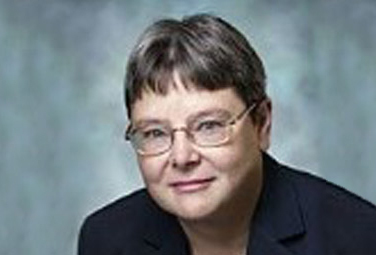 Ellen has published extensively, with publications in journal of high impact such as the New England Journal of Medicine. Dr. Ginzler is internationally known as an expert on lupus nephritis. She became a Master of the ACR in 2009; other distinctions include the ACR Distinguished Clinical Investigator Award, the NYU Ira Goldstein Memorial Lectureship and the Lifetime Achievement Award of the New York Chapter of the Arthritis Foundation. Dr. Fortin is Full Professor and Clinical Researcher at the ‘Centre de Recherche du CHU de Québec’, ‘Université Laval’ (Quebec City) where he graduated from. He trained in Rheumatology at McGill University and obtained a Master’s degree in Public Health at Harvard University; this was followed by three years of training in clinical epidemiology under Dr. Matthew H. Liang. At Laval, Paul is actively building a research program on Systemic Autoimmune Rheumatic Diseases (SARD). Before joining Laval, he was on the faculty at McGill University and at The University of Toronto. At McGill, he was funded uninterruptedly by operating grants from The Arthritis Society (TAS) and/or the Canadian Institutes of Health Research. Dr. Fortin has been working on understanding the bio-psycho-social impact of chronic rheumatic diseases including lupus, the antiphospholipid antibody syndrome, SARD, osteoarthritis and rheumatoid arthritis. He is particularly interested in developing interventions for the treatment of these conditions. 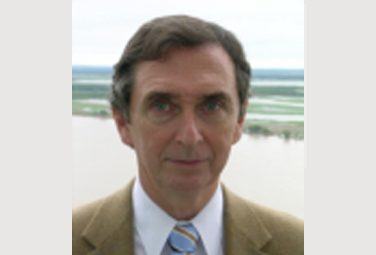 Dr Fortin has published extensively; he is authored over 400 scientific publications, about half of them in lupus. 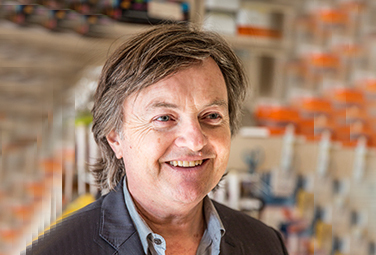 He has received numerous awards including the CRA Young Investigator Award (1999), the Kirkland Scholar Award (2008); the Distinguished Senior Research Investigator Award (Canada’s TAS, 2007 – 2012), the Hope Award from Lupus Ontario (2010), a tier 1 Canada Research Chair in SARD and the Jeffrey Shiroky Research Award for his accomplishments in clinical research in rheumatology (2015). 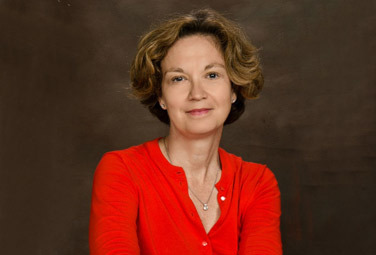 Nathalie Costedoat-Chalumeau MD, PhD, is currently Professor of Medicine at Paris V University and Senior Hospital practitioner at the Reference Center for Systemic and Autoimmune Diseases, Department of Medicine, Cochin Hospital and, one of the five French national reference in France for rare autoimmune and systemic diseases. She trained in Internal Medicine, Immunology, Pharmacology and Rheumatology at the Pitié-Salpêtrière and Cochin Hospitals in Paris; she joined the Cochin Hospital soon after completing her training, and in 2010 she became a Full Professor. Natalie’s research and practice has focused on lupus and the antiphospholipid syndrome and has been involved on studies leading to landmark publications in hydroxychloroquine and its measurement in blood, adherence to treatment, and pregnancy in women with SLE and APS. She designed and successfully led several national and international longitudinal and cohort studies on SLE and APS: the PLUS study, the Adherence study, the GR2 study, and the neonatal lupus cohort (in collaboration with Dr. Jill Buyon, another SLICC member). She brings this extensive experience to the SLICC group. Dr. Costedoat-Chalameau has published extensively including original papers in international journals; she is also a reviewer for national and international journal, and since 2013, member of the Editorial Board of Lupus Science and Medicine. 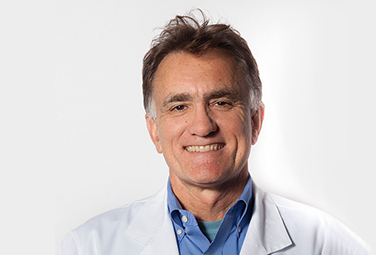 Dr. Winn Chatham is Professor of Medicine in the Division of Clinical Immunology and Rheumatology at the University of Alabama at Birmingham (UAB), where he is the Louis W. Heck Clinical Scholar in Rheumatology. He obtained his medical degree from Vanderbilt University (Nashville, Tennessee), trained in Internal Medicine at the University of North Carolina (Chapel Hill), and in rheumatology at UAB. 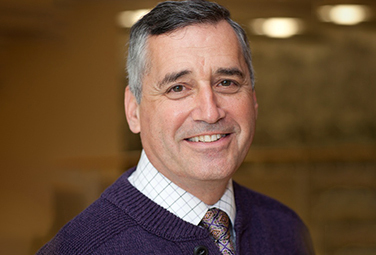 Since 1998, he has directed the Lupus Clinic, coordinating translational studies with investigators in genetics, basic immunology, and SLE outcomes. Winn has research experience in basic neutrophil biology, having studied mechanisms of neutrophil-mediated tissue and vascular injury. He has served as a rheumatology fellowship program director, developed and co-directs the musculoskeletal module for UAB medical students, and remains committed to training the next generation of clinicians who will care and manage patients with lupus and related disorders. His current research interests are focused on the development of autoimmunity in the setting of immunodeficiency, and the genetic basis and management of macrophage activation syndromes in the setting of lupus and other rheumatic disorders. Dr. Chatham has been a member of SLICC since 2016. He has served as a local principal investigator for over 24 clinical trials in lupus and in the past ten years has been a first, contributing, or senior author on over 20 peer-reviewed manuscripts related to lupus; he has authored over fifteen book chapters. In 2017 he received the American College of Rheumatology Distinguished Clinical Scholar Award. 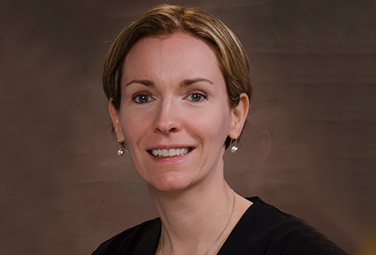 Dr. Jill Buyon is the Lady Va and Sir Deryck Maughan Professor of Medicine at New York University (NYU) School of Medicine and Director of its Rheumatology Division. 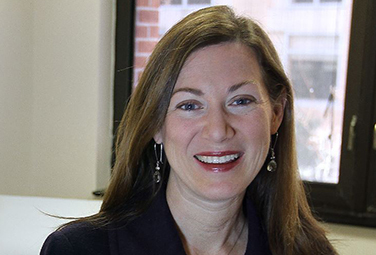 She leads the NYU SLE translational Center. Her work has been supported by uninterrupted NIH funding from NIAMS and more recently NICHD. Jill initiated and led the Safety of Estrogens in Lupus Erythematosus National Assessment (SELENA) study, the first SLE multicenter trial conducted in the U.S., in which the safety of estrogen use by SLE patients was established both in premenopausal women (birth control) and in postmenopausal women (hormone replacement). Dr. Buyon has made several contributions to the maternal/fetal dyad in SLE. In 1994, she established the NIH-funded Research Registry for Neonatal Lupus (RRNL), the largest extant clinical registry and biobank for NL in the world. Her continuous track record of basic research on NL pathogenesis is currently supported by an NIH MERIT award, and its translation to prevention is being studied under an NICHD R01, Preventive Approach to Congenital Heart Block with Hydroxychloroquine (PATCH). Dr. Buyon was a co-Investigator on PROMISSE and first author on the publication related to SLE and adverse pregnancy outcomes and with colleagues established the SLE Pregnancy Disease Activity Index (SLEPDAI). 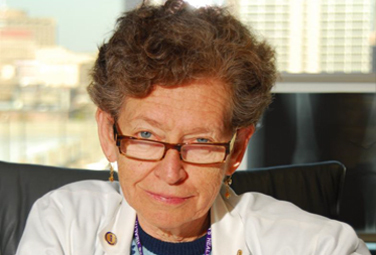 In 2007, she was the recipient of the Lupus Foundation of America Evelyn Hess, MD’s Award in recognition of her work on reproductive health in lupus. 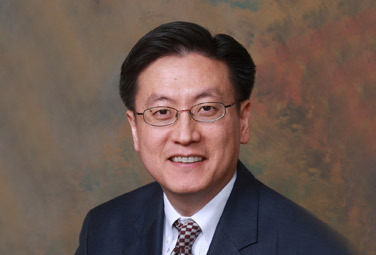 Dr. Sang-Cheol Bae received his MD and PhD from Hanyang University, Seoul, Korea (1984 and 1993, respectively) and subsequently trained at the Brigham and Women’s Hospital, Harvard Medical School, Boston where he was a research fellow and an Instructor in Medicine. While in Boston he obtained a Master of Public Health from the Harvard School of Public Health (1998). He returned to Seoul, Korea where he rose through the ranks and is currently the Director of the Hanyang University Hospital for Rheumatic Diseases and president of Korean Society of Systemic Lupus Erythematosus Research. Sang-Cheol’s major research interests include clinical and genetic epidemiology, clinical trials and innovative treatment development, clinimetrics, and clinical economics and outcomes research in the field of rheumatic diseases, particularly rheumatoid arthritis and systemic lupus erythematosus. He has published over 600 articles on these topics. 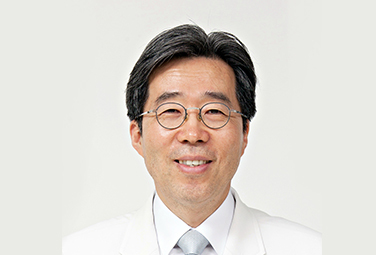 Throughout his illustrious career, Professor Bae has been honoured with numerous academic awards, including the Distinguished Clinical Investigator Award by the Asia Pacific League of Associations for Rheumatology (2008), the Hanmi Proud Doctor Award by the Korean Medical Association (2010), the Korean Rheumatology Academic Award by the Korean College of Rheumatology (2011), the Hanyang University Outstanding Scholar Professor Award (2012) and the Minister of Health and Welfare Award (2016). 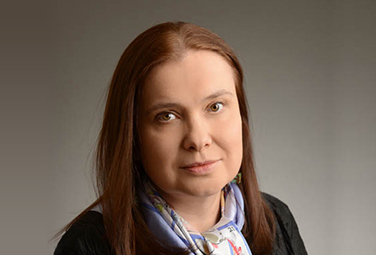 Dr. Anca Askanase recently joined the Columbia University Medical Center Rheumatology faculty, as founder and Clinical Director of the new Lupus Center and Rheumatology Clinical Trials. Trained as a rheumatologist at New York University, she remained there for over 15 years conducting clinical trials, training residents and fellows, and treating challenging cases of SLE. Anca’s academic career has focused primarily on the care of patients with SLE and other autoimmune diseases. To reach this objective, she embarked on a journey of research and discovery, seeking to understand the patients’ and physicians’ perspectives about these conditions and helping to redefine 21st Century therapeutic options. It is her hope that by helping to establish widely accepted parameters for quantifying the impact of SLE and the response to medications, all health care providers will have effective benchmarks to better treat patients with complex and often confusing symptoms. In addition to her numerous publications and pioneering clinical trials, Dr. Askanase is a member of three major international consortia aimed at improving outcomes and therapies for SLE: SLICC, LNTN (Lupus Nephritis Trial Network) and LuCIN (Lupus Clinical Investigators Network). She believes that excellent care often includes bringing novel therapies and, in such context, she has been involved in every major SLE clinical drug trial and multiple NIH and industry-sponsored clinical trials. One of her most rewarding experiences was being the Site Principal Investigator in the registrational study that led to the FDA approval of Belimumab, the first new Lupus drug in over 50 years. Laurent Arnaud is a Clinical Professor of Medicine at Strasbourg University School of Medicine (Strasbourg, France), and senior consultant in the department of Rheumatology and French National Reference Center for Rare Systemic Autoimmune Diseases (Strasbourg). Professor Arnaud received his MD degree from Assistance Publique – Hôpitaux de Paris and Université Pierre et Marie Curie (Paris, France); he completed a fellowship program with a specialization in auto-immune diseases, mainly systemic lupus erythematosus (SLE), at Hôpital Pitié-Salpêtrière. He then obtained a PhD in Immunology at the Institut National de la Santé et de la Recherche Médicale in Paris and pursued clinical research at the Karolinska Institutet (Stockholm, Sweden) under Professor Ronald van Vollenhoven before moving back to France. He has participated in national and international multicenter studies seeking to refine our understanding of SLE; he currently serves on steering committees in several academic and pharma-sponsored clinical trials. His main research interests focus on the development and systematic evaluation of biologics and immunomodulatory treatments, with a special focus on personalized medicine, for SLE and the antiphospholid syndrome. With his team, he has also contributed to several research projects in the field of other rare diseases such as Takayasu’s arteritis, relapsing polychondritis, Erdheim-Chester disease and the systemic capillary leak syndrome. He has published over 200 scientific articles, about a quarter of them in lupus. Dr. Murray Urowitz is a senior staff rheumatologist at the Toronto Western Hospital and Senior Scientist at the Krembil Research Institute. He is also Professor of Medicine at the University of Toronto and Director of the Centre for Prognosis Studies in the Rheumatic Diseases and the University of Toronto Lupus Clinic. Dr. Urowitz established the University of Toronto Lupus Clinic and Lupus Databank Research Program in 1970. This extensive longitudinal database is one of the largest such databanks in the world with over 1950 patients and has allowed for numerous findings which have changed the way systemic lupus erythematosus (SLE) is diagnosed and managed. Dr. Urowitz has published 380 peer-reviewed papers and 42 book chapters. He has supervised the training of over 130 fellows in rheumatology especially in SLE. Murraywas a founding member of the Systemic Lupus International Collaborating Clinics (SLICC) group and currently directs the SLICC Registry for Atherosclerosis. In 2009 he was the recipient of the Evelyn V. Hess Award for outstanding contributions to lupus research, awarded by the Lupus Foundation of America. 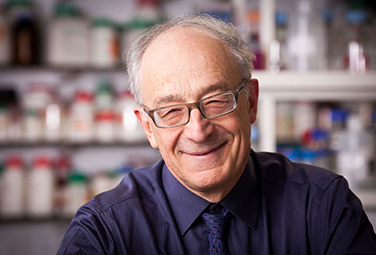 He was the recipient of the Queen Elizabeth Diamond Jubilee Medal for longstanding contributions to lupus research in the field of rheumatology and the Charles Mickle Award, presented by the University of Toronto Faculty of Medicine for lifetime excellence in medicine and medical education in 2015. He was awarded a Lifetime Achievement Award for commitment to the field of lupus by Lupus Ontario in March 2016. Dr. Urowitz is the recipient of the 2017 American College of Rheumatology Distinguished Clinician Investigator Award. Dr. Sasha Bernatsky graduated from the University of Toronto (MD) and McGill University (PhD in Biostatistics and Epidemiology) and is currently full professor in the McGill Department of Medicine, Divisions of Rheumatology and Clinical Epidemiology. Sasha’s research is supported by the National Institutes of Health (NIH), the Fonds de recherche du Québec-Santé, the Canadian Institutes of Health Research (CIHR), the Public Health Agency of Canada and other agencies. Her research focuses on long-term outcomes in systemic autoimmune rheumatic diseases. Current interests include co-morbidity, environmental risk factors, and epigenetics. She has spearheaded the effort to study the relationship between cancer and systemic lupus erythematosus with special emphasis on lymphoma and cancer of the reproductive organs (breast, ovarian, endometrial, prostate). She has published over 250 scientific articles. 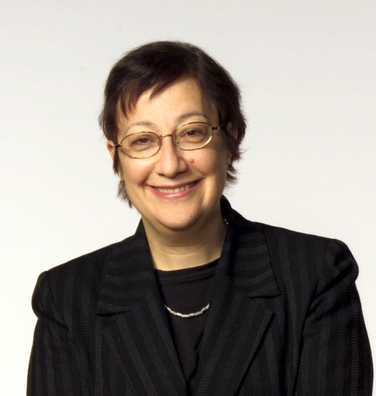 During her distinguished career, Dr. Bernatsky has received numerous awards including the Canadian Arthritis Network Scholar Award (2005), The Canadian Arthritis Network Consumer Research Award (2010) and the Lupus Foundation of America Mary Betty Stevens Young Investigator Award (2010). Dr. Cynthia Aranow is a Professor of Medicine and of Molecular Medicine at the Feinstein Institute for Medical Research, Hofstra School of Medicine in New York. She received her medical degree from New York University and completed her rheumatology training at the Albert Einstein School of Medicine in Bronx, NY. She is a recipient of the American College of Rheumatology Edmund Dubois Award in recognition of her research in SLE. She has also received the Collaborative Women in Science Award on two occasions from AWSM (Advancement of Women in Science and Medicine). A rheumatologist and lupus expert, Cindy has cared for hundreds of patients with this complex disease and believes that patients and their physicians must partner together in order for there to be significant progress. Her research focuses on lupus outcomes as well as both translational projects which include studies investigating the pathogenesis of neuropsychiatric lupus, and clinical trials of novel agents and approaches for the treatment of SLE. These trials are both pharmaceutically sponsored and investigator initiated. She is currently a protocol chair of an NIH-funded clinical trial investigating an innovative approach for treatment of lupus nephritis; she is also the principal investigator of the National Institutes of Health-funded Autoimmunity Center of Excellence at the Feinstein Institute. She has published over 100 publications focused on different aspects of lupus. Dr. Aranow is proud to be a member of Systemic Lupus International Collaborating Clinics (SLICC) which continues to be a rewarding experience. Dr. Eric Boilard is Associate Professor of Medicine at Université Laval in Quebec, Canada and a Canadian Institutes of Health Research (CIHR) investigator awardee, the most competitive prize awarded to new researchers in Canada. Dr Boilard’s research, supported by a CIHR Foundation grant, is dedicated to the delineation of mechanisms by which platelets and their microparticles contribute to rheumatic diseases. His laboratory is equipped with the most modern technologies for the study of platelets and microparticles in murine models of lupus, and includes dedicated innovative flow cytometry approaches for the analysis of microparticles in blood of patients with lupus. Dr Boilard believes that the understanding of platelet contributions to chronic inflammation in lupus, and the appreciation of the microparticle diversity in blood, will permit to delineate mechanisms underlying lupus disease. The work of Dr. Boilard’s team led to the identification of an active role of platelets and their microparticles in rheumatoid arthritis (Science, 2010). Eric has published extensively in other prestigious journal including the Journal of Immunology, Blood and Thrombosis and Haemostasis, among others.